The Redwood city, California community of dance is a beautiful thing. With so many different personalities and backgrounds, the people who love dance find meaning in another's arms as they rhythmically move across the dance floor of life. 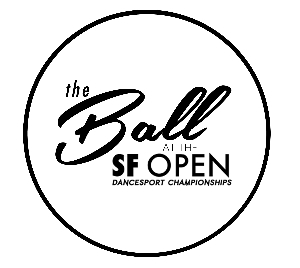 The San Francisco Open will be held at the beautiful Marriott Hotel by the San Francisco Int'l Airport. Come and join us for a fabulous competition and the sights of the City by the Bay! I used to do ballroom dancing 20 years ago. I want come back to dancing and I want to learn a new dance - Argentine tango. I would prefer a set of group lessons so I can start with the basics. We'd love to find a dance instructor who will teach a church class on Woodside Road this Sunday at 11:30 am. It will be super-casual -- parents and children who want to dance together and have fun. Line dancing, Latin, square dancing, whatever. Would love to start dancing as a new hobby. I am particularly interested in Latin dance. Looking for beginner classes. My fiance and I are getting married in August and we would like to learn and possibly choreograph a swing dance but are both beginners. We would like to know if you are available for lessons on Friday evenings or Saturday anytime and what the cost would be for that.